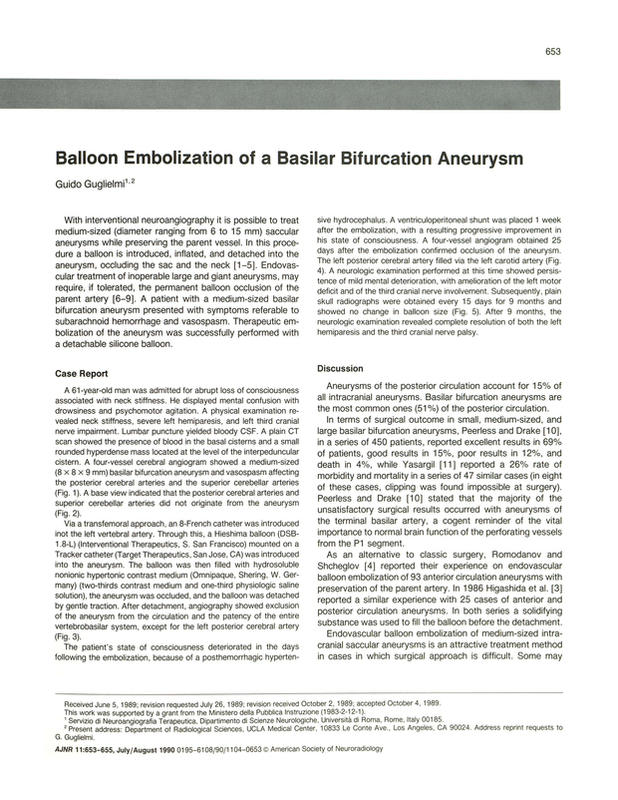 Balloon embolization of a basilar bifurcation aneurysm. Dipartimento di Scienze Neurologiche, Università di Roma, Italy. You are going to email the following Balloon embolization of a basilar bifurcation aneurysm.